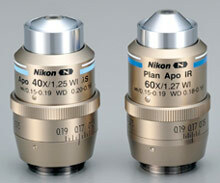 Nikon’s A1 MP+ is a streamlined version of the unique A1R MP+ multiphoton imaging system developed for simplified, cost-effective multiphoton imaging. 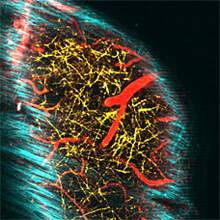 Nikon’s A1 MP+ multiphoton confocal microscope is a unique multiphoton imaging system featuring a high resolution galvanometer scanner. 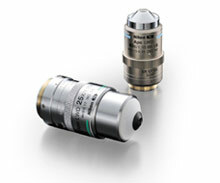 New 4 channel non-descanned detectors with higher sensitivity, reduced dark current and broad spectral range allow for real time unmixing of closely spaced probes for accurate and high-contrast spectral imaging. 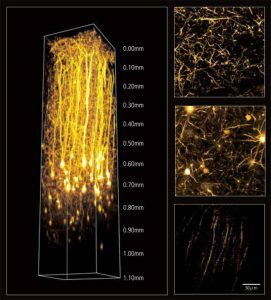 This is especially important in multiphoton microscopy because of the overlap of emission spectra of probes and autofluorescence, which is often unavoidable when using a single laser line. 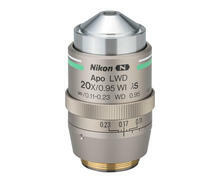 Nikonâs A1 MP+ is a streamlined version of the unique A1R MP+ multiphoton imaging system developed for simplified, cost-effective multiphoton imaging. 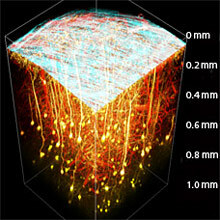 Nikonâs A1 MP+ multiphoton confocal microscope is a unique multiphoton imaging system featuring a high resolution galvanometer scanner. 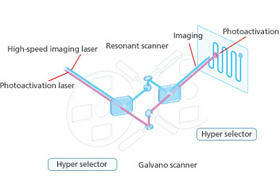 New 4 channel non-descanned detectors with higher sensitivity, reduced dark current and broad spectral range allow for real time unmixing of closely spaced probes for accurate and high-contrast spectral imaging. 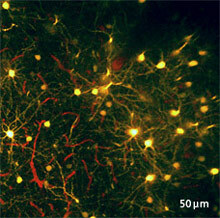 This is especially important in multiphoton microscopy because of the overlap of emission spectra of probes and autofluorescence, which is often unavoidable when using a single laser line. 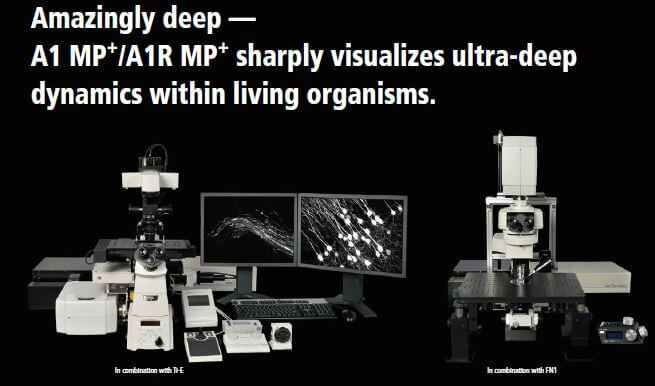 Ultrafast resonant scanners; high-sensitivity, low-noise GaAsP detectors; and industry-leading optics have made Nikonâs A1R MP multiphoton confocal microscope a system of choice for deep tissue imaging. 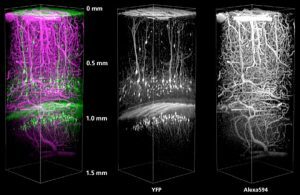 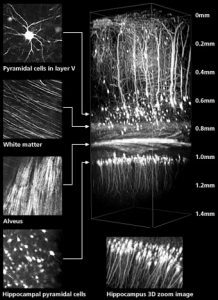 Recent collaborative efforts between Nikon and the Allen Institute for Brain Science resulted in the design of an open-architecture multiphoton system able to image large specimens. 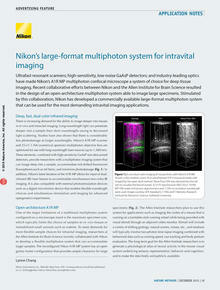 Stimulated by this collaboration, Nikon has developed a commercially available large-format multiphoton system that can be used for the most demanding intravital imaging applications.